The huge variety of apps available on the App Store makes It all too easy to fill your iPhone with throw-away oddities that you don’t need and will use once and forget. But your iPhone is at its most powerful when you load it with apps which actually serve a purpose, whether business or pleasure, and you implement these into your daily life. Some are universally useful – a neat “To-do” list app, or news aggregators and so on – while others are aimed at a specific demographic. Lottery Live is one of those which will be of little use to some, but if you’re part of the target market it could easily become an essential everyday tool. 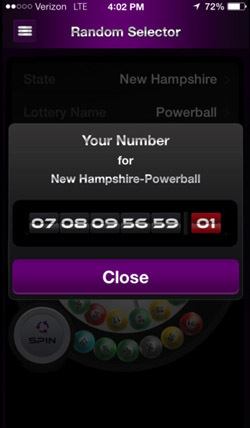 As the name implies, Lottery Live, from JM Application Design & Development, is all about that great gamble, that worldwide addiction of resting your hopes and dreams on a list of random numbers and praying for a statistical miracle. Before you get too excited, let’s be clear: Lottery Live isn’t here to offer some magical answer to huge lottery winnings. Instead, it is a thorough package which aims to streamline and organize every aspect of your lottery experience. Keeping tabs of all your concurrent lotteries is the primary focus here – connecting to all the major lotteries across the US, Lottery Live saves your bought lottery ticket numbers and then checks them automatically against the results as they are released. It’s a seamless process too: Buy your ticket, and then either enter your numbers manually or take a photo of your ticket from within the app and allow it to autodetect the numbers from the image. These numbers are connected to the specific lottery draw that they are associated with, so you needn’t worry that you’ll miss out on a big win when life gets in the way. Apparently there is an astounding amount of cash regularly left behind by careless lottery players who don’t realize that they’ve won, so having an app which tracks all of that for you could prove hugely helpful, especially if you play often or across multiple lotteries at once. 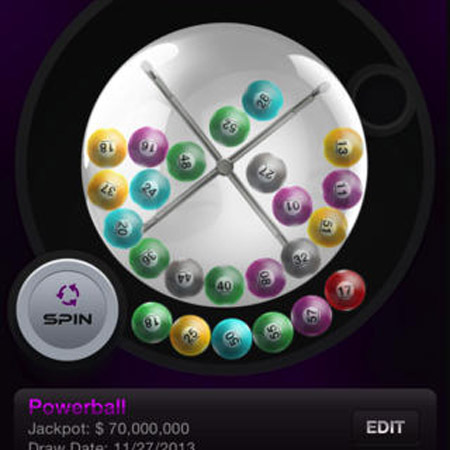 It’s also useful to have access to all of the jackpots, the live draw dates, and a database of all the lotteries you would ever wish to play. Really capitalizing on the addictive nature of lottery players, Lottery Live also gives you the locations of all lottery vendors in your area so you’re never at a loss for a ticket at the last moment – just whip out that in-app map and follow the GPS guidance to your nearest ticket seller. 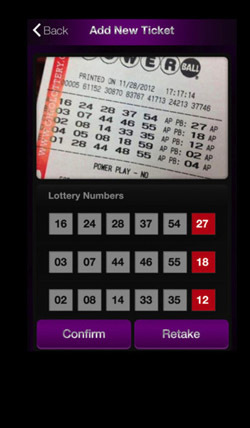 For gamblers with no sense of imagination, the app will even select your numbers for you, supposedly based on clever algorithms regarding the most frequent numbers and so on. Obviously not everyone will care for an app like this, as it is aimed at a very specific part of the population. But if you are one of the millions of adults in the US who plays the lottery, wishing desperately for that one big win, Lottery Live could be a worthy investment. 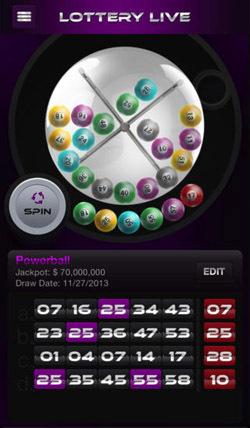 At $2.99 it may seem steep among the piles of free apps in the App Store, and it’s not a stunner, but it is a well designed, feature loaded product which would be genuinely useful for lottery regulars. Let’s be honest, no one wants to miss out on a multi-million dollar jackpot because they forgot about a ticket left on their bedside table. Keep track of those numbers, folks, you never know when your luck may strike.